A blend of inspirations from across the globe went into crafting this captivating chest. 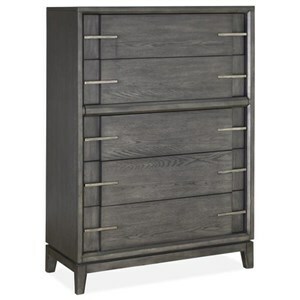 The simple and sleek case with large, bold hardware is a throwback to traditional Asian chests. The whitewashed, distressed wood finish takes its inspiration from modern rustic design. The result is a piece of furniture with a vibrant and cosmopolitan feel. 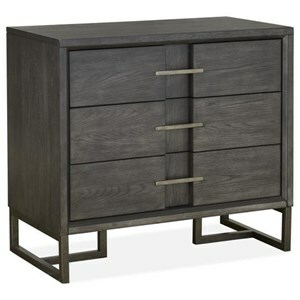 The Los Altos Carnaby Contemporary Five Drawer Chest by Tommy Bahama Home at Reeds Furniture in the Los Angeles, Thousand Oaks, Simi Valley, Agoura Hills, Woodland Hills, California area. Product availability may vary. Contact us for the most current availability on this product.